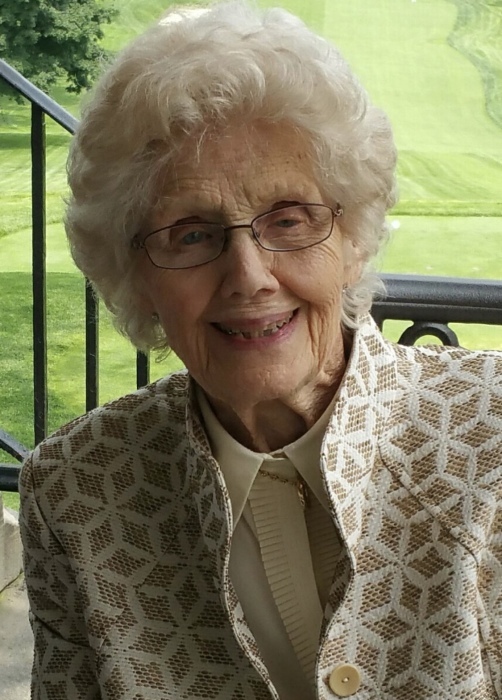 Age 93, died peacefully and surrounded by the love of her family on Sunday, August 19, 2018 at Longwood Assisted Living Facility, Oakmont. Joan was born December 16, 1924, in Pulaski, New York, the daughter of Joan and William Mather. She taught high school English until marrying Graemer "Guy" K. Hilton of Altamont, New York in 1948. They moved to Schenectedy, NY, where Guy worked for General Electric. They also lived in Hendersonville, NC and Lewistown, PA before moving to Pittsburgh in 1975. The focus of Joan’s life was her family. She raised four children, and was engaged in all of their activities, as well as supporting Guy in his business career. A person of deep faith, she was a member of St. Scholastica Catholic Church in Aspinwall, and an active volunteer. Joan was preceded in death by her husband Guy, and sister, Kay. She is survived by her sister, Anne (Chuck) Russell; sons, Tom (DeaDea) Hilton of Portland, OR, John (Robin) Hilton of State College, PA, Pete (Sandi) Hilton of Pittsburgh PA and daughter, Kathy (Jim) DiBiasi of Hoboken, NJ. Joan has four grandsons, Mike (Jamie) Hilton, Matt Hilton, Pat Hilton, and James DiBiasi; 2 granddaughters, Joanie (Chris) Hayek and Amy Hilton, and one great grandson, Rhett Hilton. No Visitation. A funeral mass will be held on Thursday, August 23, 2018 at 10 a.m. at St. Scholastica Church, 309 Brilliant Ave., Aspinwall. In lieu of flowers, memorial donations can be sent in her name to St. Scholastica Catholic Church, Pittsburgh, PA 15215.